Posted by WorldbyStorm in Culture, Irish Politics, Northern Ireland. I’ve been thinking quite a bit about that PUP statement released earlier in the year on the political process in Northern Ireland in the recent past. In particular one paragraph caught my attention. “There are no political parties in Northern Ireland qualified to drive a process of reconciliation,” the PUP statement argued. None of the largest and only some of the smallest political parties in the North can be regarded as having not contributed to the divisions. Alliance, of course, is perhaps able to point to a positive history – though interesting that the PUP should ignore that. And there are smaller parties that have played no hand or part. But it’s interesting. Is the SDLP as problematic as, say, the UUP, let alone other larger parties? And while granted the SDLP is ‘nationalist’, though small ’n’ in some respects – or at least so some might believe, how could it be otherwise? Indeed look at Alliance and how long it has taken it to achieve even the modest success of the present period and then consider the likelihood of parties analogous to Alliance rising to supplant SF, or the DUP or the SDLP or UUP. Does it seem likely that that will happen any time soon. “However reconciliation is defined, we believe that it will not work if conceived as an extension of the political process. “In that instance, reconciliation will become little more than a reinforcement of the two-horse political race that currently dominates. It will be about point-scoring and securing and protecting political interest. “We understand the difficulties that the nationalist community faces given that the Union is secure and the prospect of a united Ireland is further away than ever. “However, there needs to be a recognition that for the foreseeable future Northern Ireland is an integral part of the United Kingdom and reconciliation needs to be sought in the context of that political reality. “We welcome a process that facilitates the nationalist narrative and contributes to a wider understanding of the impact that conflict had on the nationalist community. Nationalists should be afforded the same opportunities to participate in a process of dealing with the past as any community. It’s not that novel an idea. Something similar has been heard from a variety of sources over the years albeit put in a more clearly political context rather than one of reconciliation. But I think it’s a bit illusory. Northern Ireland is contested space, and perhaps will be for decades and more to come. In a way it seems to me a better way forward would be to explore the nature of the space and see how much of both identities (and others) can be accommodated within it and with linkages South and East. In other words rather than attempting to quash one or other identity in either its political or other expression to attempt to reify both and others and give more substance to them. And this, I think would be as important in terms of reconciliation as it was in politics. Difficult though, no question about it. For it would demand more than passive acceptance, or tolerance, or even inactive hostility (which seems to characterise some of the status quo), in relation to those new linkages, which by definition would demand something of all identities. But what is the alternative? An imbalanced dispensation along the lines suggested above, or perhaps tilted in the other direction? Posted by irishelectionliterature in 1970s), Irish History, The Left. Posted by WorldbyStorm in Irish History, Irish Politics, Northern Ireland, The Left. A very interesting piece by Brian Hanley in a recent edition of Irish Historical Studies [Irish Historical Studies Vol. XXXVIII No. 151, May 2013] where he considers the attitudes to the I.R.A. in the Republic of Ireland since 1969. He characterises those attitudes as ‘confused and contradictory’ with a wish ‘to identify with them’ but a situation where they ‘were repulsed by their actions’. In some respects it is unsurprising, significant spikes of support in the early years (where the situation was complicated by two I.R.A.’s) then actually quite a low level of support through the 1970s, interspersed by peaks in response to various events – Bloody Sunday – being perhaps the most obvious one. A sharp rise in support – albeit borne of complex motivations, some of which might hardly be regarded as Republican – during the H-Block campaigns. The 1980s though brought a disillusionment with armed struggle. Hanley recounts Christy Moore’s waning support for same which in the wake of Enniskillen had almost entirely faded away. Reading it it is difficult not to see the roots of later political developments, and not merely the responses in the Republic, as appearing perhaps as early as the 1970s, given the very low political support for SF (and indeed low but more variable support for armed struggle). Difficult indeed not to disagree with Ruairí Ó Brádaigh’s sentiment that ‘[while] the mass of the people could be stirred on occasions of high dramatic situations like in Derry’s Bogside it was only a minority of people [who] have always in the past and will in the future given solid support’. It is particularly interesting in relation to the way in which there was a very conscious appreciation that the actions of the I.R.A. would impact upon attitudes towards the foundation of the state and the struggle for independence. And also in relation to the blame sometimes attached by Republicans to the citizens of the Republic for their indifference to what was occurring in the six counties. Most southern Irish nationalists rejected [the proposition ‘that the members of the Provisional I.R.A. were the heirs of those who had won independence (being) the only thing Ruairí Ó Brádaigh and Conor Cruise O’Brien would ever agree on’] however, instead identifying with the sentiments of Fianna Fáil’s Erskine Childers that ‘the I.R.A. of those days [the WOI] had completely different objectives and ideals to those who called themselves by the same name today’. That would certainly serve to explain the limitations on the political purchase Sinn Féin had during that period, and perhaps go some way to explaining why once armed struggle began to be jettisoned that a more purely political approach began to reap some measure of support in the South. And of course, none of this is to deny a broad, if unfocused, sympathy both towards those in the Northern Ireland and – although this was more variable – towards the eventual goal of unification throughout the period, albeit limited in effect, but it does suggest that with Fianna Fáil in situ in the Republic there were easier means for that to be expressed than switching to outright political Republicanism. Anyhow, well worth a read for those who can get their hands on it. 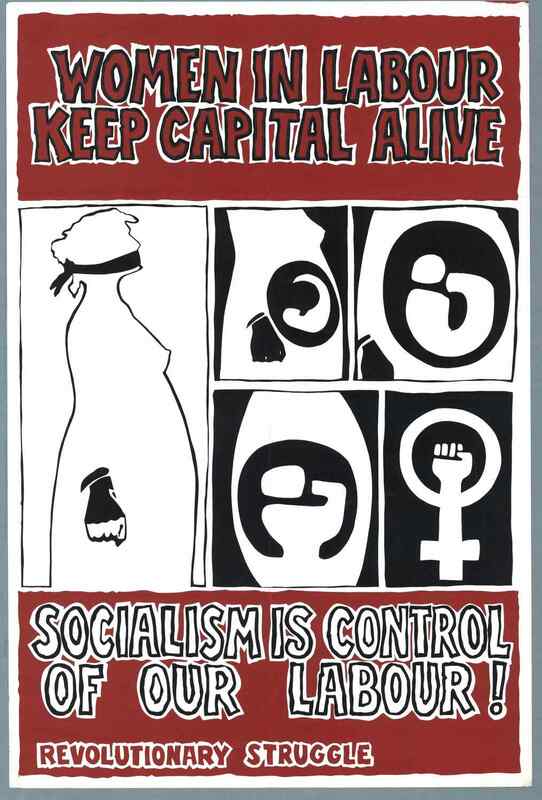 Anyone any idea who produced this poster? I’ve recently read the above and found it an useful and interesting read, not least given that the former recent controversy in the UK SWP appears to have gone live again, at least to some extent. Higgins who was a mainstay of the UK SWP in the 1960s and early 1970s, provides a partial account, no doubt, but an entertaining one and a good sense of the cast of characters comes across. It’s also both a cautionary tale, and an educative one, about the growth and limits for growth of further left parties within near-contemporary democracies. Another quite debilitating complaint is the virus that infects people with the Collected Works of Lenin on their bookshelves. This particular malady manifests itself in the patient’s inability to observe any present day situation without bending it into an analogy from the history of Bolshevism. The experiences throughout this period confirmed that IS’s theoretical appreciation of the key nature of the rank and file was turning out to be a good guide to revolutionary practice. It also confirmed that trade unionism, even of the most militant kind, cannot, of itself, represent a mortal threat to the system. No matter how long drawn out or bitter a strike might be at the end of it, win lose or draw, both sides have got to get up, dust themselves down and co-exist, until the next time. Trade unions may recruit capitalism’s gravediggers, but capitalism also provides the raison d’etre for the trade union’s existence and, almost as important, an enhanced lifestyle for officials. In this contradiction is the reason for the bureaucracy’s betrayals and the key to the way rank and file bodies can adapt and transcend the limitations of trade unions. In this rather overheated atmosphere, especially shocked by the dockers support of Powell, Cliff successfully urged for a unity of the left campaign against the urgent menace of fascism. The “Vacuum on the Left”, which is how Cliff characterised the period, could not disguise the fact that we were returning to the old Trotskyist formulation: “the crisis of the working class is the crisis of leadership”. If the theories seemed to be largely composed of hot air, the movements themselves were real enough and they were all not just potential allies but an integral part of the struggle for socialism. With the possible exception of the IMG, this phenomenon was not much appreciated. From the outside, it seemed that the IMG’s interest was a function of its lack of influence, and inability to acquire any in the working class movement, but that may be uncharitable. In IS, what were essentially new opportunities were seen as a diversion from the central task of recruiting workers. Women workers, black workers yes; women in general and blacks per se, no thank you. This could, in part, be attributed to the fact that a significant part of the leadership of IS, by age and experience, did not understand the significance of these new movements (as part of that leadership at the time, I would certainly have to plead guilty). Even more significant was the simple fact that once more we had got the future wrong. The general expectation among all the parties to the democratic centralist argument was of an increasing and rapidly deepening working class radicalisation. The experience with Workers’ Fight was, especially for Cliff, a torture. He justified his increasingly draconian suggestions by reference to the great strides we could make without having to spend an inordinate amount of time arguing with Sean Matgamna. To contemplate the sort of reorganisation that would be necessary in building a homogeneous revolutionary group, with all that implied in the way of faction and dispute, was almost too much to bear thinking about. So we did not think about it and resisted when others did. It was not admirable but seemed sensible. IS was back to doing what a small sect can do with comparative ease, the one shot noisy campaign: it was a form of activity that Gerry Healy was particularly adept at organising. The comrades are kept busy and the sheer pace of activity disguises the fact that the organisations is marking time. The less rewarding the prospect, the more boastful the promises. If the class nature of Stalinist Russia seemed of vital import to Trotsky in 1940, then it must be at the centre of our thoughts in 1996. Never mind that country no longer exists; the maintenance of the argument is the maintenance of the tradition, it has become an end in itself. So powerful is this yearning for the certainties of the past that even the way some of us talk and write is redolent of Commintern jargon of the 1920s, freshly translated from the Russian by an incompetent. The uncritical, not to say idolatrous, veneration for everything Bolshevik, until 1924, and the obsessive desire to see everything through the prism of Russian precedent, has resulted in far too many people suffering a self induced inability to communicate with workers in a language they can understand without an A level in Russian Marxism. One thing that all the groups on the left share is a dedication to democratic centralism.This goes for those from the Trotskyist tradition and from the survivors of the Stalinist shipwreck. Democratic Centralism is something that is taken as read, that is now so manifestly appropriate for all occasions as to be beyond discussion. Why this should be so is difficult to understand. It is not a form of organisation that can be easily deduced from a close examination of the classical Marxist texts. On the other hand, it can be readily understood as a necessary organisational response to the oppression of Tsarist autocracy and the intrusions and exactions of the Okhrana.That it grew out of the 1903debates in Russian Social Democracy, on who is and who is not a member of the party, and subsequently developed piecemeal into a set of rules, is because it was a reaction to events as they occurred and not as a result of a preconceived plan of action. In the Communist and Trotskyist tradition, democtratic centralism has now acquired a universal validity beyond time and context. It is like some deviated cargo-cult where the strict observance of certain complicated rituals will result in the great four engined bird flying in, loaded with a nourishing mass revolutionary party just for us. Precedent suggests that the most enthusiastic partisans of democratic centralism are, more often than not, the most authoritarian in their control of the party regimes. One thinks of Cliff and Healy and the old CP. They are, of course, the top tenth of the centralist iceberg; beneath the surface there is a proliferation of smaller centralised sects where democracy is the absolute right of the people who agree with the leader, their freedom of speech in praising the guru and his works is not only guaranteed, it is mandatory. There are those who claim that their version of democratic centralism is heavy on democracy with just a soupcon of centralism. It is open to anybody to believe this story, but before signing up for the duration it might be wise to seek out any recent expellees to see if the claim is universally accepted. Is the democratic centralist organisation secure from the attentions of the organs of state security or malign political opponents? Not really. Anyone who wants to know the inner working of the leading committees just needs join the group and hang around the centre making himself useful and frequenting the right pubs. In not too long a time he will be supplying his spymasters with information about who is doing what to whom, who is in and who is out and, if he has any nous at all, whether any of it matters a toss. Posted by WorldbyStorm in Culture, Economy. Is my response to this from some months back on Slate. There’s an overemphasis on technology in education, often to the detriment of core and invaluable subjects and how they are taught. But to see such a nakedly commercial apologia is something else. Moreover it is notable how teachers are being placed front and centre as being ‘to blame’ for blocking supposed progress. Thanks to the persons who sent this. 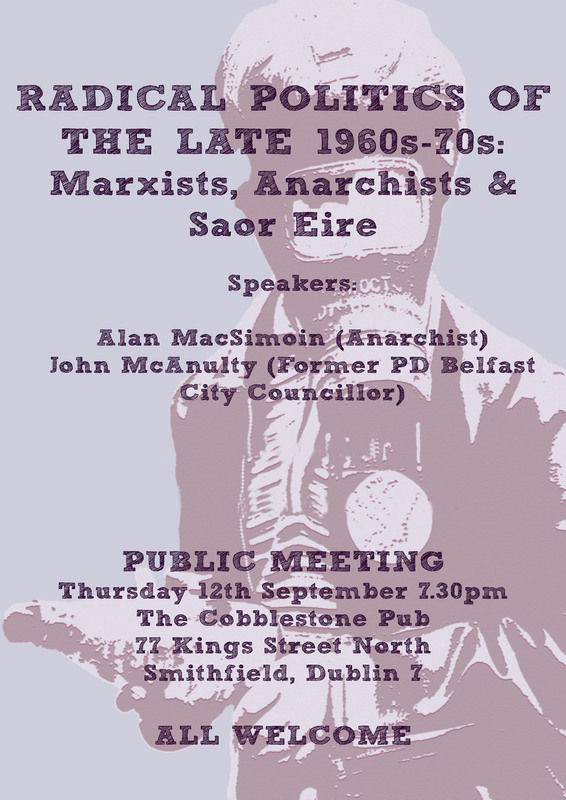 Posted by WorldbyStorm in Communist Party of Ireland (Marxist Leninist), Irish Left Online Document Archive, The Internationalists. There are two most general, wide-spread, and universal lines prevalent in the world about the role of the intellectual in society. one line treats intellectuals as experts in society and bribes them in accordance with their merit. This policy is supported by the imperialists, modern Soviet Revisionists, various liberal bourgeois, and the counter revolutionary Trotskyists. In opposition to this, the second line considers intellectuals as an essential part of society without divorcing them from the masses; they are one with the masses, and are fully integrated with the struggle for production, class struggle and scientific experimentation. Here they are not a privileged class and work wholly for the masses. This line is called mass-line. The mass-line is followed in the People’s Republic of China and the Republic of Albania. The vast masses are conducting the Great Cultural Revolution to make sure that the expert line does not rise again. The mass-line builds initiative of the mass and liberates them from the bureaucracy of the experts; the expert line deprives people of their initiative and puts their destiny in the hands of experts who cannot be held responsible for their crimes against the masses. The expert-line, coming from [the Cultural Congress] Havana, the counter-revolutionary line, advocates what in essence is the old, moribund, bankrupt and bourgeois line, and is supported by intellectuals like Noam Chomsky. Professor Northrop Frye … is a well-known reactionary and idealist, the fascist aspect of whose scholarship needs to be laid bare. Who is a fascist intellectual? Fascism springs from a person’s social and intellectual attitudes and it is essential to go into its genesis. When idealists talk of fascism they usually refer to the murderous crusades carried out asa result of social, political or religious dogmas: they picture dismembered bodies and recall all kinds of physical killing and persecution. idealist historians suggests that all fox sudden somebody, some class of people, or some society went berserk and started kiling people. This isa simplistic definition of fascism, a comfortable rationalisation which ignores the reality of the human situation. Do people become murderers all of a sudden? No. The moment people believe something without undertaking the act-of-finding out they are manifesting a fascist tendency; to accept without questioning the premise involved in a statement, an analysis or a concept is to create the basis of fascism. Cold war slogans operate precisely in this manner. Beliefs devoid of experiential validity and made up of the accumulate prejudices of the society give rise to over fascism. Northrop Frye is a fascist for he bases his literary criticism on the Bible and the Great Chain of Being, on idealist philosophy and clerical obscurantism without undertaking the act-of-finding out. To understand the world one must want to change it, not mentally but through mass struggles. There is considerably more, far too much for a short overview like this, but all told this is an interesting and unusual document. This economist always believed that if only government would stop interfering in the market with dysfunctional pro-cyclical regulation and overtaxation, house price levels can and should settle back to 2004 levels, ie levels that are prudently and sensibly located between the extreme highs of 2006 and current dysfunctional lows. Marc Coleman. What can you say?